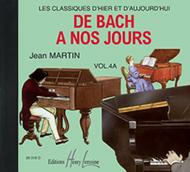 Composed by Charles Herve / Jacqueline Pouillard. De Bach a nos jours. Classical. CD. Editions Henry Lemoine #26316D. Published by Editions Henry Lemoine (LM.26316D).